You’ll find your perfect paver at Reuther. From walkways and driveways to patios and pool surrounds, we have everything you’ll need to transform any space into your sanctuary – one that reflects your unique tastes and style. What’s more, we carry a large assortment of colors, textures and shapes to complement any architectural style. Once you’ve found your perfect paver, come to Reuther, where you’ll find the best price and unmatched delivery services. No one delivers like Reuther – fast, reliable and professional. Note: The manufacturer’s color swatches and styles shown are available in stocked at Reuther. A full range of their other styles and colors are also available for purchase. 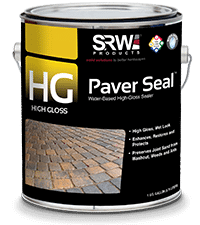 High Gloss Paver Sealer Sale while supplies last!